DeSilva+Phillips client Moose River Media, a leading integrated business-to-business media company serving the green and agricultural industries -landscaping and lawn care, snow and ice management, golf course and athletic field maintenance, tree care, nurseries and commercial horticulture, farming, and fruit, nut and vegetable growing – has been acquired by Grand View Media Group. Moose River Media offers a variety of media solutions including print and digital magazines, high-traffic electronic media, custom communications, proprietary research, and more. The company’s magazine brands include Turf, Turf Design Build, Superintendent, Tree Services, SportsField Management, Snow Business, Growing, Farming, and American Nurseryman. It also publishes the Moose River Media Sourcebook, an annual directory of products that covers all of the industries the company serves. Moose River Media also produces eight online communities: LawnSite.com, the largest community and most-visited website in the green industry; PlowSite.com, for the snow and ice industry; DesignBuildSite.com, serving hardscape and landscape design and build professionals; NurserymanSite.com, for the commercial horticulture industry; SportsFieldSite.com, for sports field managers; TreeServicesSite.com, for tree care contractors and arborists; and FarmingForumSite.com, for North American farmers and growers. With over 200,000 registered users and 3.6 million unique visitors in 2012, LawnSite and PlowSite form the largest online communities for professionals in the green industry and have become the go-to resources for networking and professional development in these growing markets. Moose River Media has leveraged the strength of its online presence and print brand loyalty to establish itself as the leading integrated media company serving its markets. Headquartered in the Town of Mt Laurel just outside Birmingham, Ala., with offices in Minneapolis, Minn., Albany, N.Y. and Scottsdale, Ariz., Grand View Media Group specializes in consumer and business-to-business magazines, as well as custom publishing. The company currently publishes 16 titles and three directories covering the outdoors and business-to-business markets. 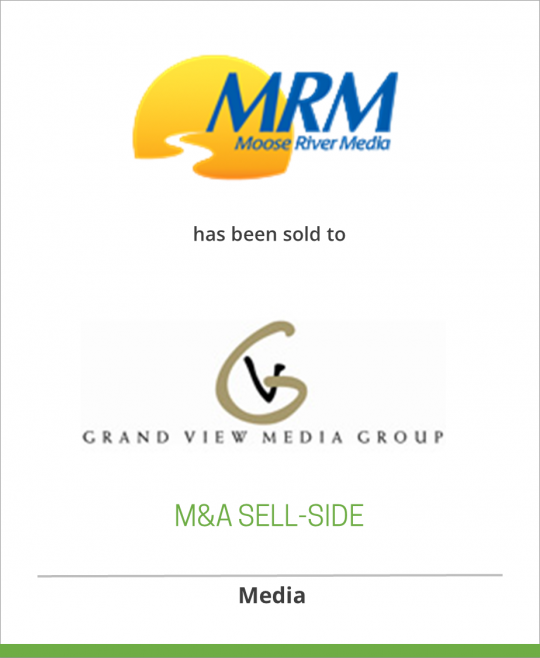 Grand View Media Group’s other business-to-business titles include Processing, Flow Control, Nephrology News & Issues, Water Technology, Professional Carwashing & Detailing, Cleaning & Maintenance Management, Cleanfax, Archery Business, Waste/Water Processing and Shooting Sports Retailer. Grand View Media Group is a wholly owned subsidiary within the Publishing and Digital Media Group of EBSCO Industries, Inc., a multibillion-dollar, international conglomerate based in Birmingham, Ala. EBSCO is a leading provider of print and electronic journals and research databases to public and academic libraries in the U.S. and worldwide, as well as a leading distributor of magazines to reception rooms in North America. EBSCO’s Industries also offers fulfillment and database services, digital publishing, direct consumer sales and other customized solutions to publishers.